- writing on the blog became a hobby in of itself. 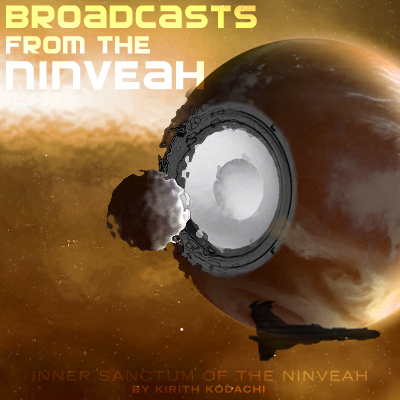 I really got into writing articles for the Eve Tribune to earn ISK and I ported that enthusiasm to my blog writing with more reviews, guides, mechanics discussions, etc. Then I got invited to write for E-ON magazine which increased my writing desire and later I picked up my fiction writing hobby that I used to indulge in for Warhammer. So I feel I have a number of quality posts in the last couple years and picking just three was not easy. In the end I went for representative pieces that capture the spirit of the blog. I excluded anything I wrote for Eve Tribune (such as Project Athena compilation) or E-ON mag. 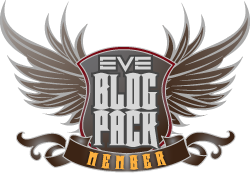 I did many special posts in 2009 to document some more uncommon mechanics in Eve and called it the Eve Master Class series. While the one I selected is not my most intensive (the missiles one was by far the hardest) the Tracking Speed article was one of my favourites because it clears up a fundamental part of the game that almost no one understands coming in: what does tracking speed on a gun really mean? In 2009 I really started to try to connect with the community more, and not for entirely altruistic reasons. You see, in January of 2009 I was nominated for Writer of the Year for the now defunct E-ON awards. I lost but became determined to improve both my blog and my presence in the community. Part of that was engaging in discussions through posts on my blog and the blogging community. This post was one of my biggest successes and even garnered me a link from Massively.com as my meme spread throughout the eve blogosphere. Might be time send it out again. I used to write fiction for my armies in Warhammer but never put pen to paper for Eve for a long time. Then I saw a "Fighting Spacecraft" article in Eve Tribune and decided to have a hand at making some more. It scratched my fiction bug and eventually led to Project Athena and Fiction Friday series. 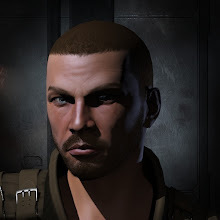 The post I selected is not from either of those per se, but is a favourite one of my wherein I try to use technobabble and real physics to justify the four damage types and resistances in Eve online. And that's it! 6 year retrospective over. If any readers have a favourite post please mention it in the comments. As far as I understand it, in EvE you ALWAYS have a chance to hit. so even if your target is moving faster than you can track you don't automatically miss every time, you just have a reduced chance of hitting. 1) The post is explaining tracking speed, not how it exactly figures into chance to hit.